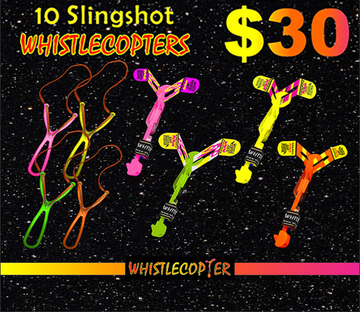 Are you ready to have fun with our ultimate Patented and Trademarked 30 Maxi sling-shot Whistle Copter in assorted colors? 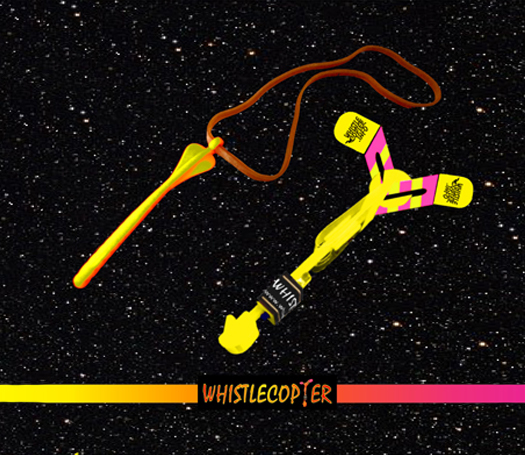 No LED Copter has a Patented and Trademarked WHISTLECOPTER but WHISTLECOPTER !! 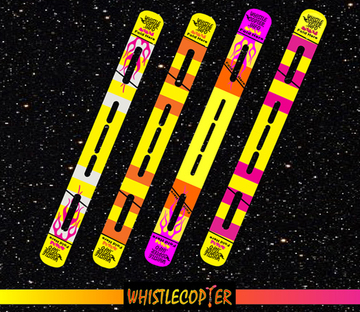 Your 30 Maxi sling shot Whistle copters will also have differently designed wings for different looks coming down from the sky ! 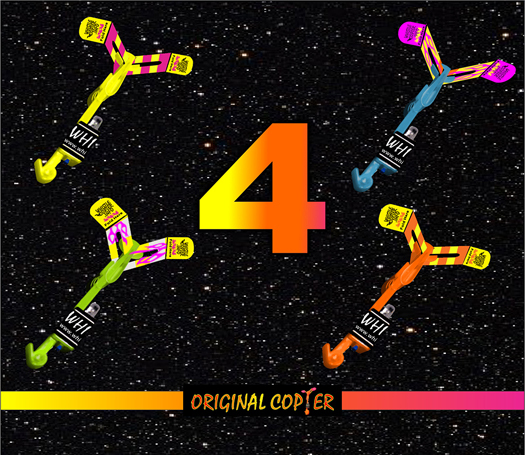 Only Whistle Copter has differently designed wings ! 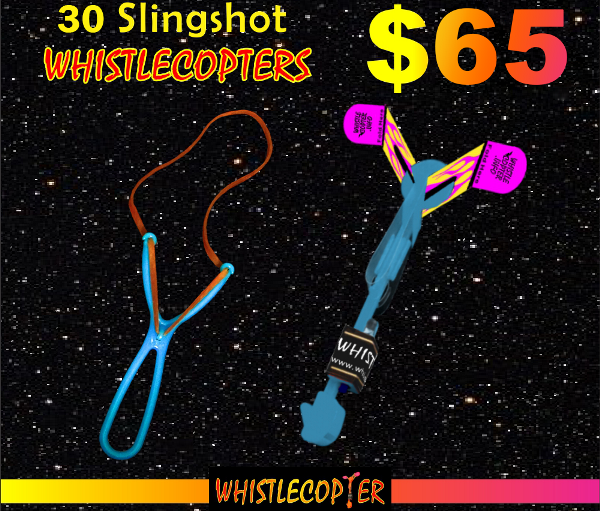 Easy to Launch with the MAXI SLING SHOT and 8 inch rubber band !Highest flights up to 250 feet! Fun for the entire family for all ages 4 and older. 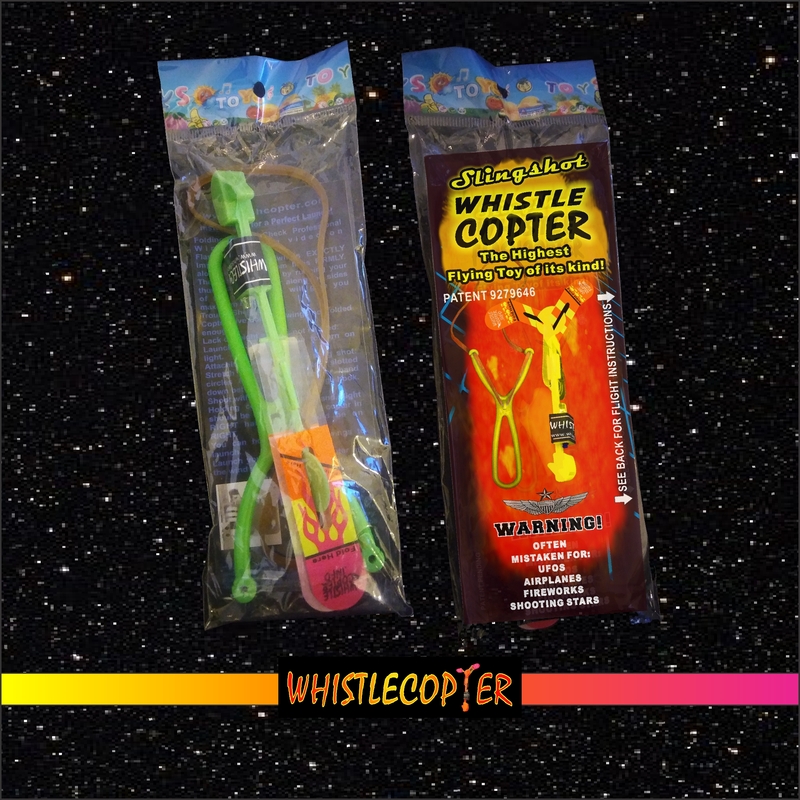 Whistle Copters are great for parties, parks, festivals, beaches. You have probably seen them at parks or in festival or on a beach. 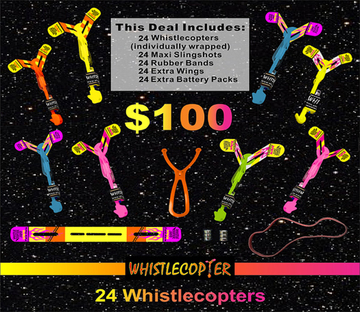 We are not a copy or some knock off so our Whistle Copter is the very best LED Copter available !!. 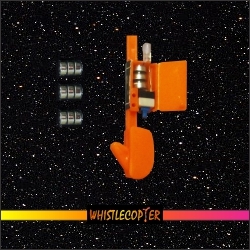 That is why Whistlecopter is embodied by US Patent No 9279646 and is trademarked . 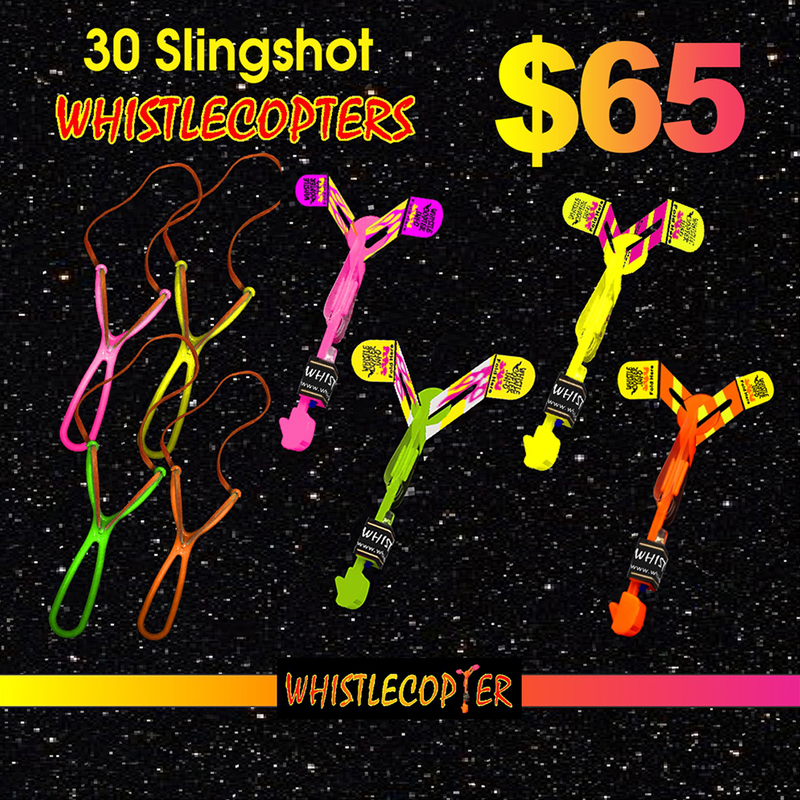 They are very easy to launch with the Maxi sling shot for the inexperienced Whistle Copter enthusiast as well as the expert. 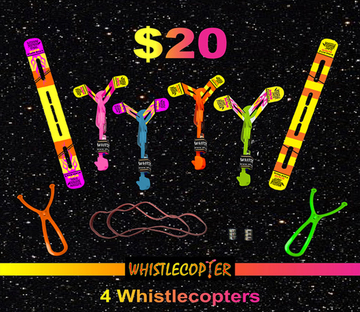 Made with high quality materials and the best rubber bands to assure you value for your money . Multiple wing designs so each Copter looks different descending from the sky. You may want to give this micro helicopter to your dear ones. 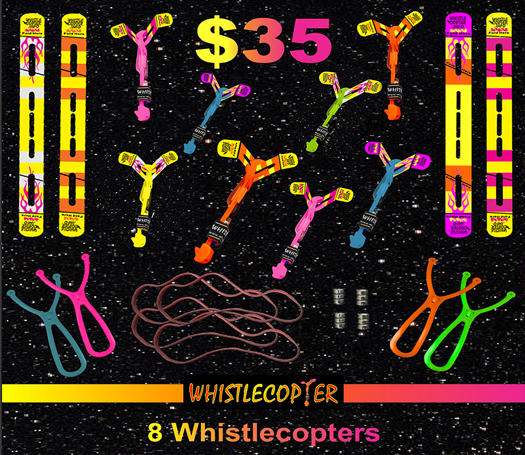 Each Maxi Sling-shot Whistle Copter is in a single package with instructions! 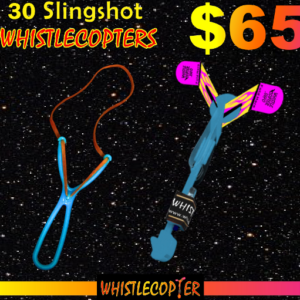 Each Maxi sling shot has an 8 inch rubber band. 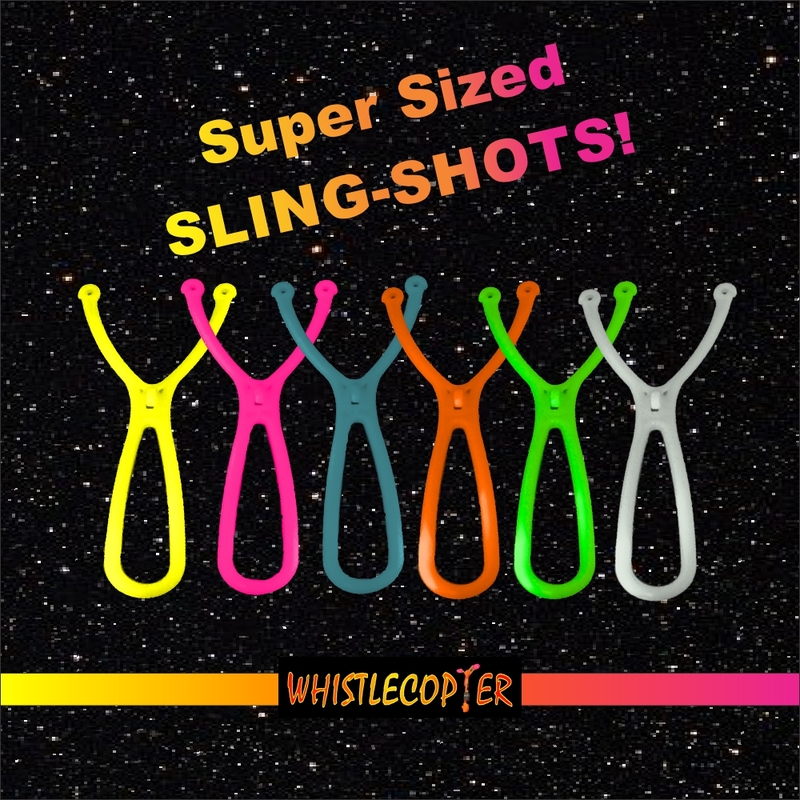 No fatigued fingers when shooting with the ultimate Maxi sling-shot. Very easy to launch over 200 feet in the air the first time you try it. Don’t forget to buy extra battery packs for the unbelievable price of .50 each battery pack!! Maybe you would like to be a vendor or just buy them for your self!! If you want to be a vendor call 305-785-4048. 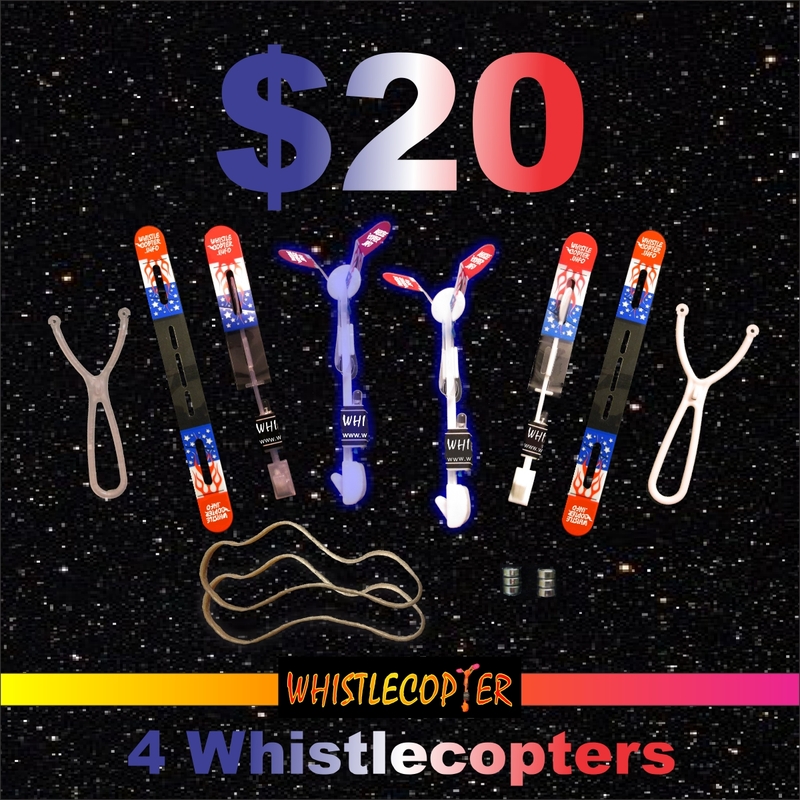 Launch the Whistle Copter into the air with the Maxi Sling shot when it reaches the maximum height it will spin back to you so you can catch it with its blades open. Read the instruction sheet in the package carefully before starting your first launch.